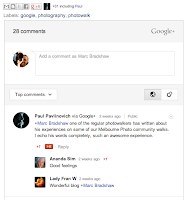 ...and why the new Google+ based commenting for +Blogger is a great move. It's old news now, but Google is killing of Google Reader. Reader is a service that I use daily and so this was unwelcome, but not unexpected news. Given that Reader has not received any updates in a while it had been considered to be 'on borrowed time' for a while. I use reader to keep up with many many feeds from a wide range of sites and reader brings all of this content together in one place, properly categorised ready for my reading pleasure. But... This is where reader stops, sure, I can, and often did share these feeds on Google+, but that interaction rarely makes it back to the original article and in many cases the author wouldn't see that interaction. The problem with reader was that it disconnects the reader from the author, it breaks the interaction made possible by the social web. The social web should be just that, social. When a comment is made on a blog post then the blog author should be a part of that conversation, and that's where the new integration between Blogger and Google+ comes in. Google recently announced Bringing Google+ Comments to Blogger, this is a huge advance in bringing social interactions to Blogger. Shares of content on G+ are right there as comments on the blog, along with the discussions on those G+ posts. This is a great example of plus being the social layer to the web rather than just another the social network. Not only is this a good thing for bloggers, it is also a good thing for those who comment on, and share blog posts. These comments and discussions are now right there in the blog, along with links to the plus profiles of those commenting. This puts your plus profile and relevant comments right there in front of others who share your interests. This will result in the building of networks of people with shared interests. This is early days yet, and I hope that Google will continue the integration into other products, YouTube would benefit from the same level of integration with G+ and would be a logical next step. Eventually I would love to see the technology extended to include any website. We can only wait and see. So far as a reader replacement goes, I will be using +feedly. I like the interface, but am experiencing some reliability issues both with the website and with the Android app. I'm sure this will improve as they make the break from reader into their own backend, but it is a little annoying at present. The morning of Saturday 31st of March 2012 was cold and rainy, I dragged myself out of bed at what felt like the middle of the night in order to get into the city for 6am. 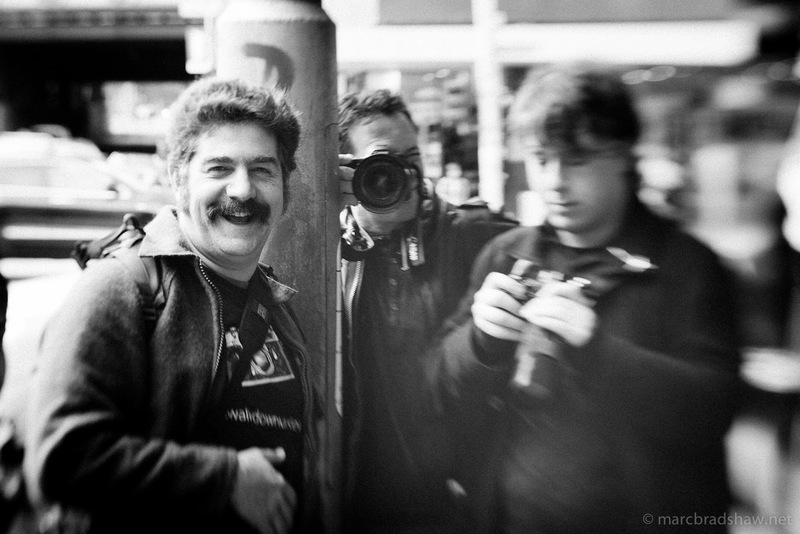 This was the the first Google+ +Melbourne Photowalk, and also my very first photowalk. This one was organised on Google+ with support from +Google Australia (thanks for the breakfast guys) to promote the new(ish) social network. What followed was a slow walk through alleyways towards Bourke St. for breakfast, then more walking up towards Vic Market and Flagstaff Gardens, and back down. I didn't quite make it to the end, not yet realising that the published times should not even be seen more as guidelines, but actually ignored altogether with the assumption that the walk will most likely continue well into the night. This was the first of many walks, we had a night time light painting walk, we rewalked the original route shortly after, and later went off in a whole new direction to do the eastern part of the CBD. We have been to Geelong, encountered Zombies, and back to the Melbourne CBD more times than I can recall without looking it up. 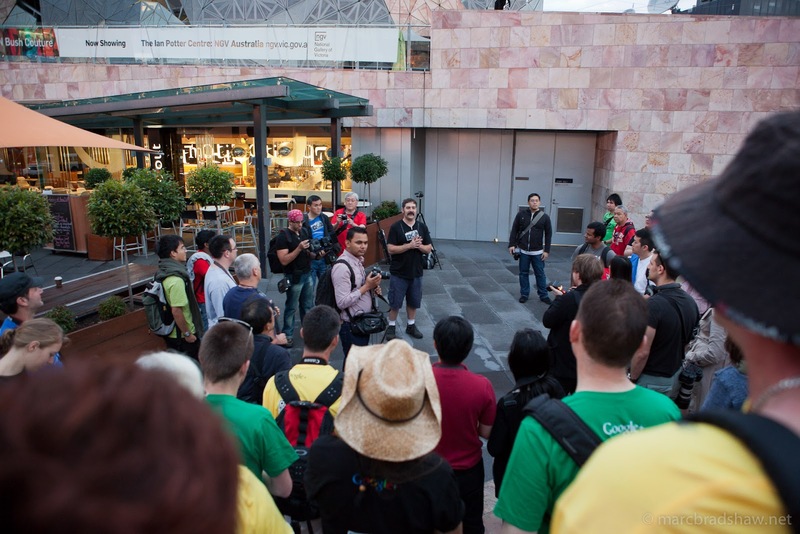 We set the record for the most people at a photowalk when +Trey Ratcliff joined us in January. +Nicole S. Young and +Brian Matiash (the new community manager for Google+ photos, congrats again mate) joined us in March as part of their tour of Australia. A small group even had a trip to New Zealand. People learn from one another at these walks, the general level of skill across the entire group has risen over the year because of this. They give photographers a chance to do what they love, without annoying the non-photographers. Being a group of photographers it is quite acceptable for us to take 45 minutes to walk down a 100m laneway, more so than with 'normal' people who are in a hurry to be somewhere. Most importantly, they are a social event. At the Trey Ratcliff walk there were so many photographers around that it was actually very difficult to talk pictures of anything apart from other photographers. One year after the original walk, on the 23rd of March 2013 we held the anniversary walk, in Collingwood, dubbed #CollingWalk, this time at a more reasonable hour. 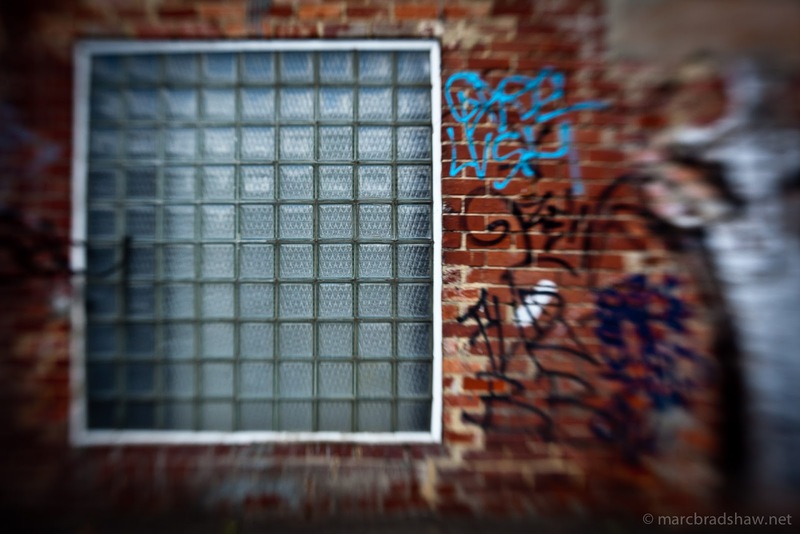 The core group of regulars (of which I am happy to be counted), now friends, hit the streets of Collingwood and some fantastic work was produced. 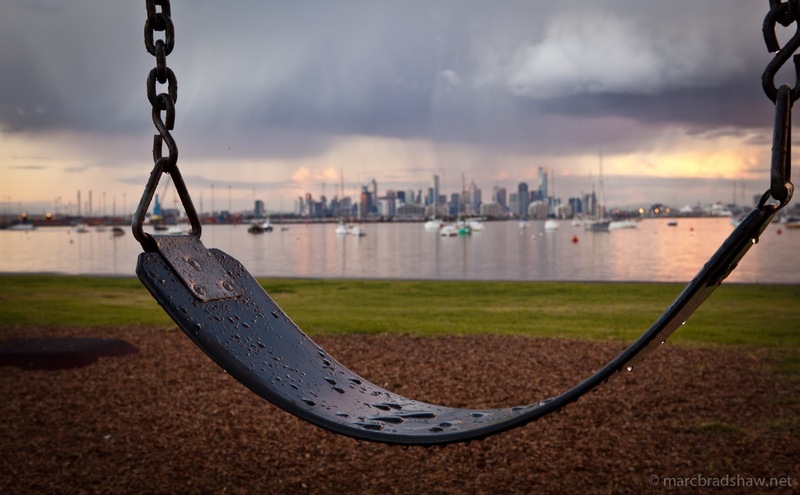 If you like photography, and are in the Melbourne area, do come along to one, it doesn't matter what your level of skill is, or what device you use to take pictures, we have all sorts, from camera phones to DSLRs, even some film users (myself included occasionally), and skill levels from newbie to professional. Sometimes some people (I'm looking at you +Trace McLean) forget to take any pictures at all and come along simply for the social aspect. 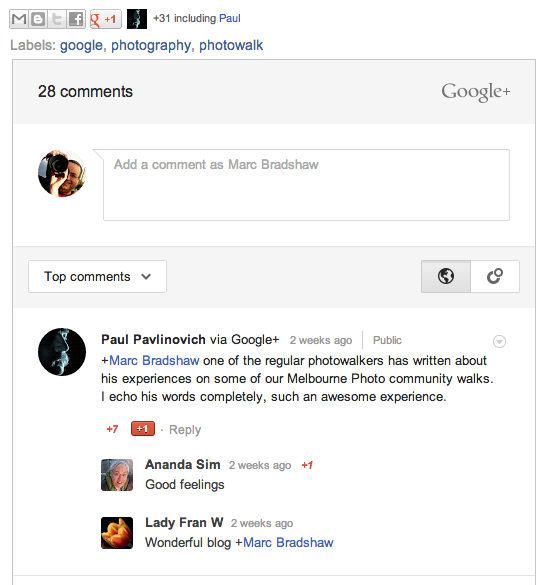 In addition to the +Melbourne Photowalk Google+ page, we also have a Google+ community and hold regular events.